What draws you to healthcare? Did you seek out the sector when you began your career? I’m a tax attorney by training. That’s pretty far from healthcare at first glance, but the creativity and heavy regulatory oversight involved in tax and corporate planning is a complementary skill set to the challenges healthcare providers face. I got my start in healthcare when one of my corporate clients hired me to come in-house in a legal capacity pre-HIPAA. ZirMed doesn’t treat patients or develop life-saving drugs, but the impact of our efforts on patient health is evidenced when our clients have the financial resources to advance their missions. In an environment in which some healthcare providers are at risk of limiting services or closing their doors—and others are doing well, but could be doing even better with improved revenue—we passionately believe that our solutions can positively impact the clinical as well as the business side of medicine by giving them the resources, the financial and human capital, to further their mission. Getting back to products, tell me more about the evolution of ZirMed. From where have you come to where you are today? Where are you headed and why? The financial side of healthcare has always been our focus. From the beginning, we were focused on helping provider organizations get paid as quickly, efficiently, and fully as possible. And our solutions have always been cloud-based, even before the term was coined. When CMS started pushing programs such as PQRS, we could see that the healthcare industry would be increasingly moving toward value-based care, and we started making changes to our software line to prepare for that. To further strengthen our end-to-end platform, we also recently added two new offices in Chicago and Santa Monica, with extraordinarily talented development teams focusing on predictive analytics, artificial intelligence and population health management. Regardless of what model or combination of models prevails, we have the foundation in place to support it and help our clients manage it and get paid under it. I suspect the ACO model or something similar is likely to win, because based on personal experience, I know that something similar to an accountable care organization is precisely what I want for my parents, grandparents and aging family members. The integrated delivery model offers the graying population clarity and confidence in the healthcare system. And it makes economic sense to keep patients inside a network, create incentives for the network to keep them healthy, and let those networks take the risks and accept the rewards. That entails larger healthcare organizations, and smaller providers will most likely need to affiliate with them. But again, ZirMed’s technological base and development model are both fluid and fast enough to move in any direction the industry takes. ZirMed had historically been known as a clearinghouse, so what drove the shift in your business model to a focus on revenue cycle management, population health management and predictive analytics? Calling us a clearinghouse is a bit like calling an architectural firm a builder of basements. Yes, the basement is the foundation, and it needs to be strong and well-engineered. But you can’t even begin to appreciate the building’s design and capabilities if all you see is the basement. It’s important to understand that “clearinghouses” evolved years ago and were critical to the administrative simplification and cost savings promised by HIPAA. Some clearinghouses have evolved, while others hold tight to a data transaction function. At ZirMed, we’ve pushed the boundaries of this underlying technology to create a complete, end-to-end revenue management platform. To help healthcare organizations keep the revenue flowing, we’ve expanded beyond traditional fee-for-service payer claims, creating solutions to help our clients deal effectively with increasing patient financial responsibility, the emergence of value- and outcome-based reimbursement models, and the need to manage population health. As the industry evolves and new challenges arise, both we and our clients continue to benefit from our highly adaptive technology and development model. Our speed from whiteboard to desktop is fast, so we adapt rapidly to unexpected industry and regulatory changes and quickly offer solutions that address them. But ultimately, everything we do is still about helping provider organizations get paid more fully, operate more efficiently, and save money and time, though doing that has necessarily gotten more sophisticated and complex. That said, who are your primary clients? Tell me about your footprint. Do you serve any other industries than healthcare? We serve healthcare provider organizations of all sizes, from private physician practices, labs and billing services to large hospitals and major health systems. We also work with a network of partner companies—our APIs enable them to quickly and easily extend the power of their own products by integrating our technologies. The only industry we serve—and plan to serve in the future—is healthcare. It’s where our passion is, and it’s where we want to stay focused. I don’t know of another industry where there’s more opportunity for a tech development company like ours to support and drive transformational change. We’re committed to healthcare, and that’s where our success will continue to come from. Where are you seeing the highest demand for your services right now? Least demand? Any shifts or surprises you expect/didn’t expect? We’re seeing growth in all the market sectors we serve, but we’re currently seeing our most rapid growth on the enterprise level—large hospitals, ACOs, regional and national health systems—and we expect that to continue. It’s not easy to support complex enterprises—especially when it involves their cash flow and billing practices—and we do that exceptionally well. The pace of change in reimbursement and revenue cycle management is unmatched today, and demand is higher than we have ever seen for innovative, flexible, and comprehensive solutions. Can you talk about the rapid growth the company is seeing—what is driving it and what are your plans to sustain it? We’re a relatively small company—about 600 employees at this point—and we operate in a multi-billion dollar market, so in a practical sense there’s no ceiling we need to worry about hitting. Growth is an outcome, and the factors impacting our growth are great products, phenomenal service, and market fit. The healthcare industry is undergoing rapid change, provider organizations are facing revenue cycle pressures, and we provide the solutions that providers need now. Our use of predictive analytics embedded in workflow technology meets the demands and needs of the market. Many of the incumbent RCM solutions are aging and have not innovated. Our enterprise cloud solutions deliver compelling return on investment (ROI) and agile deployment. Providers do not need to make massive up-front or ongoing investments of money and time, because our solutions run in a browser on the user hardware they already own, and are interoperable with whatever PM, EHR and clinical software they use now and will be using in the future. And we handle the upgrades and maintenance for them. Even when provider organizations aren’t being forced into action by industry changes or impending obsolescence, our solutions offer compelling, clear benefits, to the point that adopting them is often a no-brainer. If it saves you more money or generates more income for you than it costs, you’d be crazy not to buy it, especially when the up-front costs are as low as ours are—so provider organizations naturally gravitate to ZirMed. There’s also our client service. We don’t outsource or off-shore support—all of our staff works out of our US facilities—and that’s one of the reasons you find us at the top of the KLAS rankings year after year. As our competitors’ clients get tired of poor or uneven support, they turn to us. In your personal opinion, what do you think is the biggest issue no one is talking about in health IT? Privacy. Though it’s not quite true that no one talks about it, the issue isn’t getting anywhere near the attention it deserves. When HIPAA was passed, the overarching presumption was privacy—it was the default, it was the norm. 15 years later, we live in a world where people post on social media throughout the day. And the rules and regulations haven’t kept pace with social norms regarding information sharing. I’m not advocating that they be loosened—I’m just saying that they don’t coincide with current realities, which are much more complicated than they were in 1999. High-tech and the incentives associated with adoption of EMR technology significantly shifted the development roadmap for healthcare IT. In addition, mindshare shifted from initiatives within organizations to the need to meet Meaningful Use mandates, leading to further shifts. Now that MU and EMR have become widely implemented and those factors have stabilized, a focus on the revenue cycle is accelerating, driven by changing reimbursement models, falling reimbursements and rising costs. Everything is in flux and there’s a staggering amount of change, much of it accompanied by uncertainty. 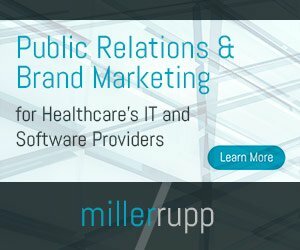 We’re keeping our clients ahead of those changes with new RCM tools designed to capture and collect overlooked revenue opportunities, deal appropriately with higher patient financial responsibility and the consumerization of healthcare, and meet the challenges posed by value-based care while reducing costs and maximizing rewards.